There are several varieties of bamboo planted in the Brisbane Botanic Gardens Mt Coot-tha. 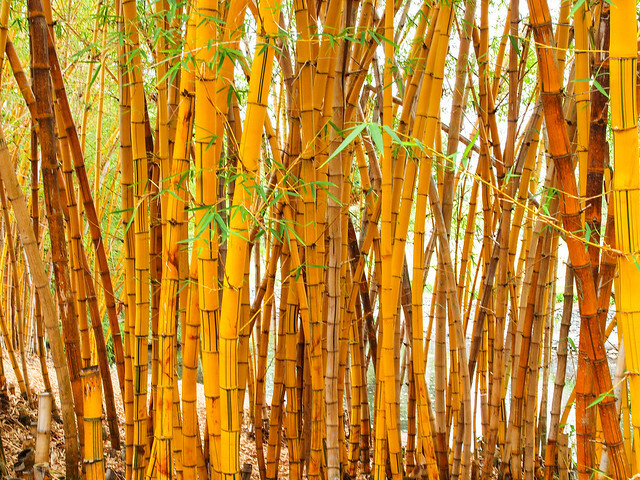 These varieties of bamboo include Bambusa vulgaris, Bambusa textilis and Dendrocalamus giganteus. Some of these were planted prior to the development of the gardens. Bamboo has many uses. It is a food source in some cultures, used for making furniture, paper, clothing construction and musical instruments. You can view the Lagoon and Bamboo Grove photo gallery as a slideshow. Alternatively, view the photos individually in the Lagoon and Bamboo Grove set in Council's Flickr account.